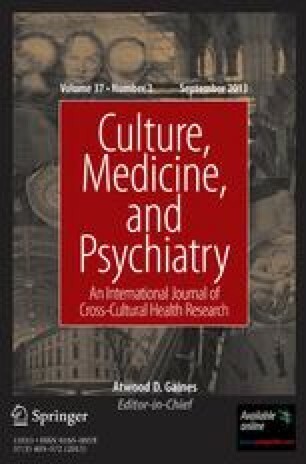 This paper focuses attention on alternative modes of expressing distress and the need to analyze particular manifestations of distress in relation to personal and cultural meaning complexes as well as the availability and social implications of coexisting idioms of expression. To illustrate this point the case of South Kanarese Havik Brahmin women is presented. These women are described as having a weak social support network and limited opportunities to ventilate feelings and seek counsel outside the household. Alternative means of expressing psychosocial distress resorted to by Havik women are discussed in relation to associated Brahminic values, norms and stereotypes. Somatization is focused upon as an important idiom through which distress is communicated. Idioms of distress more peripheral to the personal or cultural behavioral repertoire of Havik women are considered as adaptive responses in circumstances where other modes of expression fail to communicate distress adequately or provide appropriate coping strategies. The importance of an ‘idioms of distress’ approach to psychiatric evaluation is noted.